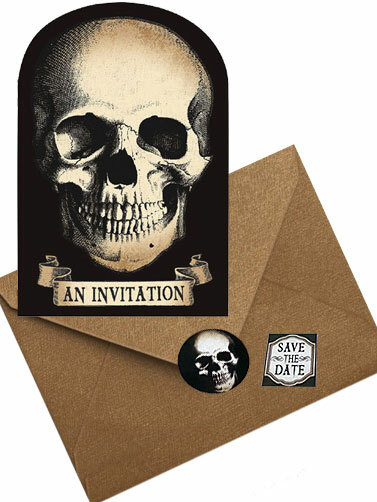 Boneyard Value Pack Invitations feature a large distressed skull and a scroll with the words "An Invitation" printed on the front. Preprinted lines for the party details is available on the back. Package includes: 20 Postcard Invitations, 20 Envelopes, 20 Seals, and 20 Save the date stickers for guests calendars. 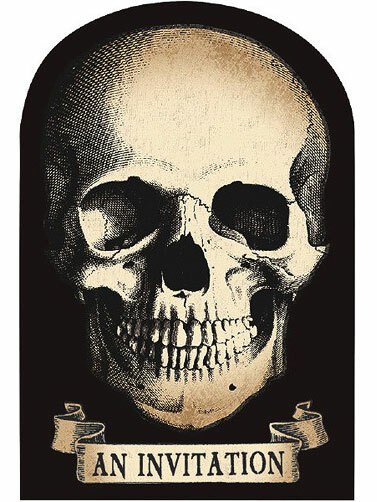 Boneyard Value Pack Invitations measure 6.25"H x 4.25"W. 20 ct.